Only candidates from the ITER Members may apply. Candidates shall apply through our e-recruitment tool and when applying must select the ITER Member corresponding to their nationality. As a reminder, the ITER Members include the People's Republic of China, the European Union (including Switzerland), India, Japan, the Republic of Korea, the Russian Federation and the USA. Could you please highlight the main steps/timescale of the hiring process after reception of my application? For more information on this process, feel free to click here. What type of people are we looking to recruit? The primary consideration in the recruitment and employment of staff is to recruit people of the highest standards of efficiency, technical competency and integrity for the ITER project. (Note: Extensive experience in similar jobs, and/or additional training certificates in relevant domains may compensate a lower education level.) The ITER Organization is a multi-national environment, and prospective staff must be able to cope with cultural differences and various approaches to problem-solving and decision-making. Besides having well-balanced personalities and good communication skills, they should enjoy cultural diversity. Prior experience in a cross-cultural work environment is an asset for all positions as is fluency in English, the working language of the ITER Organization. What type of contracts do we offer? ITER offers fixed-term full time contracts for a period of up to five years. Contracts may be renewed when appropriate depending on project needs. What type of positions do we offer? And what is the difference between P and G level positions? We regularly offer positions in Engineering, Design, Computer Science, Project Management, Procurement, and many more areas. Recruitment for all positions is based on the candidate's qualifications, skills and experience. Our positions are set at two levels — Professional/Higher Categories or "P/D" staff and Technical Support or "G" staff. Professional staff members comprise a multicultural group of experts whose responsibility is to carry out the ITER project. Candidates interested in professional positions are expected to have the appropriate degree and prior work experience required for the position. Technical Support Staff members provide support in the administrative, technical and scientific areas. How is a grade level defined for a specific position? The grade level is defined for each position depending on the level of responsibilities and the scope of duties that are to be carried out. Each grade starts with level 1 and increases incrementally. As an example, G2 is therefore lower than G4, and P2 is lower than P4. What does Direct Employment Required/Not Required mean? The phrasing Direct Employment refers to ITER staff members who are employed directly and solely by the ITER Organization. A large majority of our staff members are recruited through "Direct Employment". Some positions systematically require direct employment including executive management, security and safety, and G positions. For some professional staff positions, exceptions have been made to allow for "seconded staff". During the hiring phase, and with prior agreement from their Domestic Agency, these employees were able to maintain their employment contract with their current employer (for example, the European Commission) who has accepted to loan the staff member to the ITER Organization on a limited time basis. Secondment remains exceptional and is subject to specific conditions. I have a double nationality (e.g. French and Russian); to which ITER Member / DA should I submit my application? In the case of double nationality, you may submit your application to either ITER Member. However, once recruited, a staff member who wishes to apply to a new position is not eligible to change their declared nationality/ITER Member. What type of social insurance plan does ITER offer — e.g. pension, medical insurance, etc.? ITER currently offers three social insurance plans to its employees. The ITER Medical Insurance Scheme is a very comprehensive health care plan that covers the staff member, their spouse and their dependent children starting on their first day of work, at minimum 90% of "reasonable and customary" charges for medical, hospitalization (100%), dental and vision care. The ITER Pension Fund aims to enable our employees to accumulate and later receive payment of a lump sum or a life annuity with an individual retirement account. A total of four profiles are available in two currencies (euro and dollar), allowing our employees; pension fund to be adapted to their specific retirement and investment needs. The ITER Death and Disability Insurance Plan entitles our staff members to coverage against risk of sickness and accident (whether work related or not) resulting in their death, temporary or permanent disability. What type of services does ITER provide for staff members' families? ITER currently offers a number of benefits for its staff members and their families. This includes, but is not limited to, assistance with French visa and administrative procedures, removal and travel expenses, help with finding accommodation, French language classes, and international schooling for the staff's children. More information on these topics may be found on the following web pages: AIF Welcome Office and ITER Benefits Package. I have submitted my application. Can I contact someone in Human Resources to follow-up on the progress of my application? 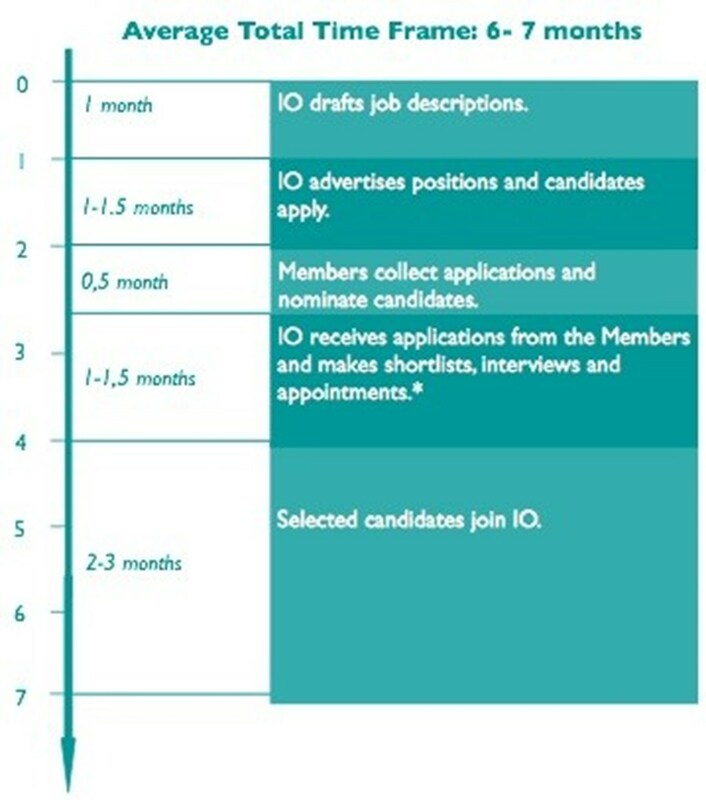 In accordance with the Recruitment Time Frame (see question 2), rest assured that the ITER Organization will duly contact you at each step in the recruitment process. I sent my spontaneous application to HR-recruitment@iter.org two weeks ago. Could you please confirm my application? Please note that only job applications submitted directly through our recruitment website are taken into consideration.